Formed in 2016 in Birmingham, England, 315 Ensemble is dedicated to commissioning and performing electro-acoustic music. The ensembles consists of flute, clarinet, violin, cello, piano, electric guitar and electronics. After making their debut at the Frontiers Festival in March 2017, the group released a commercial recording of two of Chris Cresswell's works, From Dreams, We Emerge and The Lost Art of Losing Sleep. Their live recording of From Dreams, We Emerge was selected to represent the Royal Birmingham Conservatoire as part of the International Music Council's Rostrum+ 'Windows on the World' radio series that was broadcast throughout Europe. In addition to performing Cresswell's original compositions, 315 Ensemble has commissioned, premiered, and workshopped new works by composers from the US and UK, including Chloe Knibbs, Emily Levy, Patrick Ellis, Kevin Baldwin, and Daniel Sutheran. 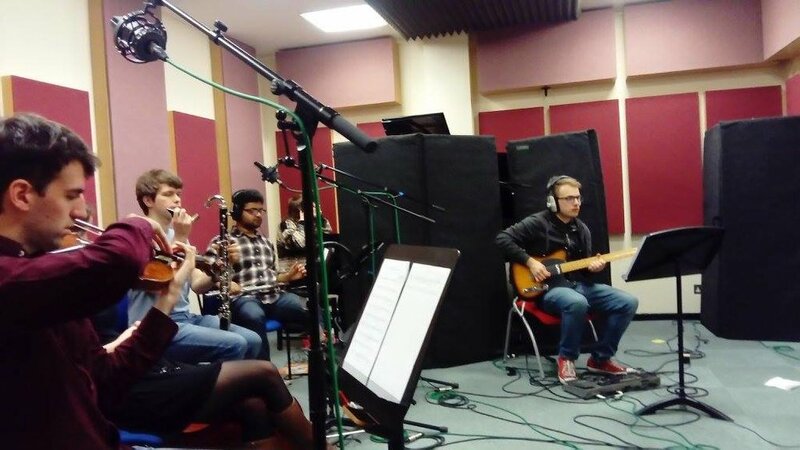 In it's original incarnation, the ensemble featured Arjun Jethwa (flutes), Luke Newby (clarinets), Laurie McGee (violin), Laetitia Van Wyck (cello), Heather Duncanson (piano), and Chris Cresswell (electric guitar). Recording 315 Ensemble's record at the Royal Birmingham Conservatoire in May 2017.